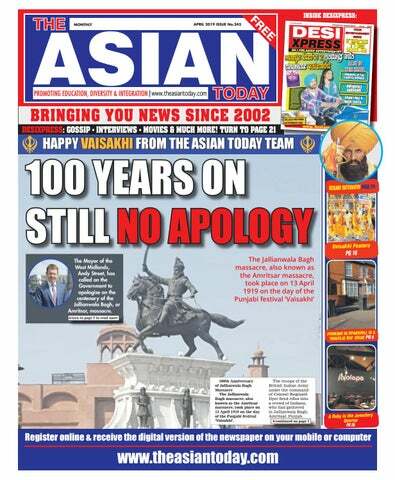 100 YEARS ON STILL NO APOLOGY The Mayor of the West Midlands, Andy Street, has called on the Government to apologise on the centenary of the Jallianwala Bagh, or Amritsar, massacre. 100th Anniversary of Jallianwala Bagh Massacre The Jallianwala Bagh massacre, also known as the Amritsar massacre, took place on 13 April 1919 on the day of the Punjabi festival ‘Vaisakhi’. apologise in Parliament and commemorate the Jallianwala Bagh massacre with a memorial day. Calls for an apology for what is widely regarded as one of the most barbaric attacks on Indians by the British colonial administration come every few years. Each time a head of government or the queen visits, the question of whether they will or will not apologise gets aired. Jallianwala Bagh is a stone throw away from the Golden Temple in Amritsar and is now a national monument. the permanent Staffordshire Hoard gallery continues to prove popular with visitors. These major moments, along with innovative exhibitions such as The Past is Now, Women Power Protest and a new display of paintings and watercolours by celebrated Birminghamborn landscape artist David Cox, helped to make it the busiest year at BMAG since 2015, and the third busiest in the last 40 years. 2019 has also got off to exciting start with a display of Leonardo da Vinci drawings from the Royal Collection, which has already attracted 50,000 since the 12 drawings went on display on 1 February. Visitors to BMAG have also been wowed by colourful and creepy exhibition Too Cute!, curated by artist and filmmaker Rachel Maclean as part of the Arts Council Collection National Partners Programme. of the UK - is wonderful proof of the growing success and ambition of Birmingham Museums Trust. Dippy, the diplodocus from London's National History Museum, may have been the star draw in 2018, but visitors from Birmingham, the West Midlands and from further afield really responded to the eye-catching, fun, provocative series of exhibitions at the Museum and Art Gallery and across the Trust's other sites. This is a great success story for Birmingham." Visitor numbers at Birmingham Museums’ oldest museum and most popular historic property, Aston Hall, also grew. The magnificent Grade I listed Jacobean mansion recorded an increase of 27% in visitors thanks to an innovative programme of events and exhibitions in its 400th anniversary year. Midlands and have not only contributed to business and the economy but also to the peaceful and tolerant society we have here in the West Midlands. “Holi is a celebration of different colours and how they exist beautifully together. The West Midlands is made up of people of so many different ethnicities, languages, heritages and faiths and that is our beauty; it is something to be celebrated.” The event was sponsored by Enzen UK, a knowledgebased Energy and Utility enterprise serving the Gas, Power and Water sectors. An Indian company, it has made a successful home in Solihull, UK, where it serves clients throughout the UK. Manish Jamthe, UK CEO of Enzen UK showed his appreciation to the Mayor for bringing the community together and for promoting the message of community spirit in the West Midlands. bosses say that figure omitted £59m of "optimism bias", after detailed investigation works along the route revealed that significantly more remedial work was necessary than originally thought. he recent Change4Life campaign highlighted that children in England are consuming too much sugar – an extra 2,800 sugar cubes per year. That’s equivalent to 312 cans of sugary cola, 469 higher-sugar yoghurts or 562 chocolate bars! Too much sugar is bad for children’s health and has contributed to increased obesity levels. It can also lead to the build-up of harmful fat on the inside that we can't see. This fat can cause weight gain and serious diseases like type 2 diabetes, which people are getting younger than ever before, heart disease and some cancers. Too much sugar can also cause painful tooth decay; shockingly every 10 minutes, a child (in England) has a rotten tooth removed in hospital. We talked to three mums with children aged 4-11 who have become more aware of their children’s sugar intake and have taken action to reduce it by making simple everyday swaps and giving them healthier versions of the foods and drinks, they enjoy. They also told us about the challenges they face when making these changes, especially when it comes to cultural foods and family members such as grandparents. Change4Life is here to help you and your family cut back on sugar. Download the Change4Life Food Scanner app to see the sugar content of everyday popular items or search Change4Life for healthier swap ideas. he was in the toilet for 15 minutes. After he was ushered out the lavatory, he complained to the staff. "When I came out of the toilet I saw the guy who opened the door but he avoided me. "I was expressing I was unhappy about it. I sat back down and a stewardess was sent over to explain. She said it was part of their safety and security policy." The passenger has been offered - and said he has rejected - a £500 goodwill gesture and an apology from EasyJet after he complained to company when back in the UK. Adil, who has a Pakistani heritage and is a Muslim, believes he was the victim of "racial profiling". EasyJet venomously deny this allegation. The wholesaler added: "I think it was racial discrimination. They can see the colour of my skin. "I was racially profiled. It was discrimination. I think it is Islamophobic. I feel like my dignity was violated and my dignity is more important than the money. "I'm just not happy with that. I want a proper apology from the individually who I feel was not only dismissive, but extremely rude and arrogant. "I was made to feel like a criminal. It was really humiliating for me. "That is the first time anything like that has ever happened to me. The only way I can make sense of it is because of my racial background. "This procedure is in place to ensure passenger safety of all passengers on board including the well being of the customer in the toilet. "There is absolutely no evidence to suggest that race played a role." supporting the communities and businesses potentially affected by these measures. "It is the start of the fightback against the public health crisis in this city which causes 900 premature deaths a year. "I'm pleased that we will have nearly £15m to support the taxi community to upgrade to cleaner and greener vehicles, enabling them to continue providing their valuable service to the city." He also added that he would continue to work with the council's licensing team, including Cllr Barbara Dring the chairman of the Licensing and Public Protection Committee, to secure measures to support taxi drivers. The CAZ is not a congestion charge and will only apply to non-compliant vehicles - diesels older than a EURO 6 (manufactured before 2015) and petrol cars older than EURO 4 (made before 2006). £299 Baroness Memory 4'6" Double mattress and base set Memory Foam Mattress with sprung interior which reduces pressure points on the body. Headboard available at extra cost. Accessories not included. SALE plus every carpet fitted free* Meet The Team at Stechford! from another country. This is like our home for us." The 52-year-old was disgusted with what was a targeted racial attack on his business. "It happened between 11pm on Tuesday (March 19) and Wednesday morning," he explained. "It's still on the shutters now. I just don't understand. Where am I living now? I belong in Solihull, England is my country. "I just feel victimised, incredibly hurt. West Midlands Police, meanwhile, confirmed it is investigating. Elsewhere, and in another racist vandal attack, a derelict pub in Kingstanding was tagged with, "England, No P****". The disgusting graffiti was spray-painted onto the walls of The Kingstanding, close to the shopping centre precicnt. A fabulous flecked ‘soft to touch’ saxony carpet with stain resistant qualities in stripes or solid colours. FREE UNDERLAY UPGRADE When you present this advert at our United Carpets & Beds store Stechford. For great advice and the Best Local Offers On Carpets, Beds, Laminate and Vinyl 166-172 Station Rd, Stechford, Birmingham B33 8BT Telephone 0121 785 1444 Open: Mon-Sat 9am-6pm, late night opening Thur 9am-7pm, Sun 10am-4pm. www.unitedcarpetsandbeds.com or call Free on 0800 344 442 Products subject to availability. *Free fi tting applies when you buy the equivalent size of our Airstep or Treadmore underlay. Stair surcharge applies. Free fi tting offer does not apply to laminate wood or vinyl fl ooring. Stocks vary from store to store. Colours in photos may vary slightly due to print quality. United Carpets accept no responsibility for printing errors. †United Carpets Woodfl oor and Beds acts as a credit broker and only offers credit products for Secure Trust Bank PLC trading as V12 Retail Finance Ltd, all Credit is provided by external fi nance companies as determined by United Carpets Woodfl oor and Beds. Minimum order applies. MOOR STREET STATION BIRMINGHAM WILL GET A HUGE REVAMP Moor Street station in Central Birmingham is set to undergo a major renovation which will see two new platforms built to cope with the expected increase of five million passengers per year by 2043. Transport chiefs reveal early concepts which could see new platforms and a public square to connect station to HS2. The city centre station which will still retain its historic grade II-listed entrance from 1914 while a second access point will serve Digbeth and the new Smithfield development. The propositions also include the option to more than double the size of the concourse to 21,525 sq ft. There are also several options to improve pedestrian access between Moor Street and New Street, including a direct route via St Martin's Queensway, and steps and a ramp at Swan Passage adjacent to the new Primark. There could also be a new ramped route from Rotunda Square to New Street station. The new platforms will, alongside other network infrastructure improvements, allow extra services to stop at Moor Street from across the region under the 'Midlands Rail Hub' proposals to increase rail capacity to and from the East Midlands, Hereford, Worcester and the South West. to those work, training and education opportunities. "This whole area of Birmingham will be revitalised over the next few years as the world's largest Primark opens, Curzon Street HS2 station is built and Moor Street is transformed. "This vision for Moor Street will not only provide a better experience for commuters but, with two extra platforms, it will set the foundation for the future expansion of rail services." The aim is to create seamless access between the new HS2 terminal in Curzon Street, Moor Street and New Street as part of the so-called 'One Station' strategy. caption: "There seems to be a car on the tracks at Snow Hill." British Transport Police were called to the scene along with engineers and a recovery vehicle which removed the car. West Midlands Metro had apologised for the inconvenience caused to tram passengers. They wrote to Twitter: "Due to an abandoned car on the tracks at St Chad's, there is currently no service between St Paul's and Grand Central." "@BTP and engineers are on site and a recovery vehicle is on route to remove the vehicle. "We apologise for any inconvenience this morning. All lines are now running normally as the car has been moved off the line. noble initiative of celebrating the Prakash Parv in Midlands. The event concluded with the ensemble of religious songs by Mr. Jas Wohra, Managing Director, East End Foods Plc, creating a spiritual environment at the Chancellor’s Hall. Communities across the globe will mark the anniversary with a series of events throughout this year, with the UK expected to host the biggest celebrations outside India. year’s overall Future Face of Greater Birmingham award will also receive a fully-funded Executive MBA scholarship from Future Faces patron Aston University. The scholarship is worth up to £30,000. Mark Smith, executive director of business engagement at Aston University, said: “Aston University is delighted to support Future Faces by offering a fully-funded MBA programme to the winning member. Ambassador Award is sponsored by Common Purpose, with the winner receiving their Streetwise MBA, worth £5,000. MANY MORE OFFERS IN-STORE TODAY! "Where obstructions placed in the road are reported to the city council we will take action to remove them, recognising the balance that needs to be struck in servicing businesses and the need for on-street parking in areas where there is a mix of business and residential activity. "With regard to providing double yellow lines the process can be costly, takes time and is open to objections from those who would not wish to see the road space restricted. "With the limited funding available to the council, we prioritise that funding to address known safety issues as our first priority. "Given that position, currently there would be no funding available to implement the requested restrictions." are underway by the Council of Sikh Gurdwaras in Wolverhampton and the Asian community to ensure another fun filled family event. The City of Wolverhampton Council urge everyone to put the date in their diary and see West Park come alive to the sights and sounds of the Vaisakhi Festival. There will be a parade from the Guru Nanak Satsang Gurdwara on Cannock Road to West Park, starting at 9am. Motorists are advised that temporary road closures will be in place while the procession makes it way to the park. Vaisakhi is one of the most important dates in the Sikh calendar. It is the Sikh New Year festival, and this year marks the 319th Anniversary of the Creation of the Khalsa Order and making of Saint-Solider by Guru Gobind Singh Ji in 1699. Sikhs in the Square Vaisakhi Celebrations and Nagar Kirtan Procession Sunday 14 April 2019 | 9am â&#x20AC;&#x201C; 4pm Parade commences from the Forest Recreation Ground to Old Market Square at 10am Join Nottingham's Sikh community in this auspicious year, celebrating the 550th birth anniversary of their founder, Guru Nanak Dev Ji. For Sikhs, Vaisakhi marks their New Year and commemorates the formation of Khalsa Panth in 1699 by their 10th Guru, Guru Gobind Singh and since then, the Khalsa panth has been a way of life for the Sikhs. It is also a spring harvest festival. During Vaisakhi, colourful processions called Nagar Kirtans take place around the world. Vaisakhi celebrations are open to all communities. All are welcome to take part in the procession or alternatively, to join the celebrations in the Old Market Square. Upon arrival in the Square, the event will start with formal prayers in the presence of Guru Granth Sahib Ji. There will be various activities taking place throughout the day including: - Turban tying - Sikh martial arts - Discussions on Sikhi in English - Langar (cooked food) The event is open to everyone - the Sikh community will be out in force and it is a great opportuinty for interaction with other communities in Nottingham. the Handsworth Area to provide them access to menstrual products with dignity. It also opens up the conversation around menstrual health and wellbeing in these schools. Cysters continued to work alongside the Handsworth Association of Schools to work on a programme to highlight any issues on concerns within the schools. As the government are going to supplying High Schools from September onwards, they will continue to support primary schools and also extend services to other marginalized communities. The programme also distributes these menstrual products to local homeless charities. Cysters Youth Board – Statistics show that there are not enough women in Leadership Positions, particularly in Birmingham. So Cysters created a Youth Board, to be involved in the strategic growth of Cysters, create and co-ordinate their own projects, and become the next generation of health advocates. More information about Cysters can be found at www.cysters.org. The National Landlord Investment Show connects 1000s of property professionals at venues throughout the country and is the UKâ&#x20AC;&#x2122;s leading buy-to-let event. The shows give landlords and investors the chance to connect with suppliers, network and increase their knowledge. out by the famous OK magazine. It was reported that the couple often fight and things are not going well between them. Even Nick’s parents are frustrated with their constant fights and they wanted them to go separate paths. Garry Sandhu Punjabi singer took to his Instagram to revealed that he has brand new track ‘Doabey Wala’ is on its way. The ‘Laddu’ singer already made a great start to the year after releasing ‘Alert Kuday’ and then the romantic track ‘Dobara Milde Aan’. awards show, where she won the Best Actress Award for her role in "Raazi" on Saturday night. A video that is going around on social media, Alia Bhatt can be seen saying "I love you", while Ranbir can be seen blushing over Alia's special gesture. they have just landed at their birthplace, Indore. They will be going to a few places where their grandfather was posted during his years with the police force. Amy Jackson Announces Pregnancy News Bollyood actress Amy Jackson announced her pregnancy in an adorable Mother’s Day post. Taking to Instagram, the mum-to-be shared a picture of herself holding onto her fiance George Panayiotou, while showing off her blossoming baby bump. In the caption she wrote: ‘I’ve been waiting to shout it from the roof tops, and today, being Mother’s Day, it couldn’t be a more perfect time.’ The actress added: ‘I already love you more than anything in this world, the purest most honest love. We can’t wait to meet you our little Libra one.’ Fans were quick to comment on the picture and couldn’t help but wish the star well. Khemu and Hiten Tejwani. Directed by Abhishek Varman and produced by Karan Johar, Sajid Nadiadwala and Fox Star Studios, Kalank’s first looks were released on March 8, Women’s Day to support the female lead roles in the movie. released posters revealing the fates of some of the key characters as fans await Avengers sequel Endgame. On the posters, survivors are shown in colour with the dead in black and white. 01. 01. 02. 02. 03. 03. 04. 04. 05. 05. 06. 06. 07. 07. 08. 08. 09. 09. 10. 10.
with emotions and left asking questions. And of course, we as a team – the entire crew, the stellar cast including Parineeti, have put our heart and soul into this film. We hope we make those 21 brave Sikh soldiers proud with Kesari. It’s in their honour and we salute them. and transform, we got our 'Khiladiyon ka Khiladi' the ultimate and the one and only Akshay Kumar of the film industry who has only been going ahead day by day. How do you see your journey when you look behind? I think I’ve done well enough to make my parents proud...they believed in me when I wanted to concentrate on sports, then in martial arts and eventually the movies...at every step they encouraged me and my sole aim was to show them they were right in doing so. Today, when I look back, I can say I didn’t let them down. When we see the trailer we see utmost passion in your eyes for the character you are playing. How close or important this film is for you? This film is extremely special and close to my heart. I’m actually very emotional about it, it’s my dedication to all the martyrs back then and even now who keep fighting f o r our country, our Bharat Ke Veer. Two women die every day from cervical cancer. Don’t ignore your cervical screening invite. If you missed your last cervical screening, book an appointment with your GP practice now. shot victims in a mosque. Police have urged the public not to share the "extremely distressing" material online. The 28-year-old Australian described his anti-immigrant motives in a manifesto. Police have warned there may be more suspects. Australia's Prime Minister Scott Morrison said one of those arrested was an Australian citizen and described the suspected attacker as an "extremist right-wing violent terrorist". Officers first received reports of shots fired in central Christchurch at about 1.40pm local time (12.40am GMT). you are doing. And how important your communities are here in this country." The head of projects for the centre, Ashraf Ali, said Charles took particular interest in the Stories of Sacrifice Exhibition, which is first about the Muslims who fought for Britain in the First World War. Mr Ali said he showed the royal visitor a panel of Charles's great-grandfather, King George V, wearing a turban when he was head of a Muslim cavalry regiment. "I said, 'I've got someone here, you might recognise him'," Mr Ali said. "He said, 'I know this guy. Of course I recognise him'." Mr Ali said Charles also took an interest in the work of the centre in bringing communities together. Charles left the centre and Manchester to head east to Wigan , where he is visiting The Old Courts in the town centre to learn about the building's restoration into a community arts centre. Shiamak Davar’s troupe and the tadka of Rajah Spices with desi-flavoured popcorn and Masaledar freebies. Dishe khi HARV aisaTHE VFOR Vaisakhi is the Harvest Festival and marks the start of the Punjabi New Year for Sikhs and Hindus, and also marks the Birth of Khalsa the Sikh New Year founded by the Tenth Guru and the last living Guru of Sikhism Guru Gobind Singh Ji. The Khalsa tradition was initiated in 1699. Vaisakhi is also to celebrate with friends and family, Here at The Asian Today are some tasty vegetarian dishes to indulge and enjoy with loved ones during Vaisakhi, there is a starter a main and a dessert if you find yourself struggling with ideas on what to make. the pakoras are crisp and golden-brown and the vegetables have cooked through. Serve immediately. 1. Heat a deep lidded saucepan or a medium sized wok and add the oil. Fry the onions and garlic, until the onions are caramelised 2. Add the salt, cumin, coriander, turmeric and red chilli powders. Mix for a minute and tip in the tomato. Cook the sauce until it begins to thicken. 3. Add 4 tablespoons water and stir. Then tip in the chickpeas and mix. Mash a few of the chickpeas while cooking. Cover and simmer for 5 minutes. Then add the ginger and the garam masala. Cook for another minute. 4. Serve with pitta breads or plain basmati rice. LOW COST FLIGHTS TO PAKISTAN! Method 1. Tip the rice into a large saucepan and toast over a low heat for a few minutes. 2. Stir in the milk, cardamom and almonds. Bring to a simmer and cook, uncovered, for 40 minutes. 3. Stir in the sultanas and simmer for 15–20 minutes, or until the liquid has reduced by half and the mixture has thickened. 4. Stir in the sugar, to taste, remove from the heat and allow to cool. 5. Pour into a large bowl, cover with cling film and chill in the fridge for 1–2 hours, or overnight. Pick out the cardamom pods. 6. Serve in four bowls decorated with crushed pistachios and gold leaf (if using). • We aim to bring you great flight prices, whatever your destination. • We use a variety of airlines to find you the best deal. • We can provide tailor made packages and visa facilities. • We also specialise in Hajj & Umrah Tour packages. Hotel Bookings & Umrah Visa Services also available LOW COST FARES TO: Pakistan, India, Bangladesh, Kenya, Ethiopia, Lagos, Dar-Es-Salaam, Dubai and many more destinations. Naeem Arif is a highly experienced customerorientated leader, with over 15 years experience as director of multiple successful Private Limited Companies in the Retail and Management Consulting world. He the founder of NA Consulting, a retail and management consultancy, and the Co-Founder and Vice Chair of the Midlands Retail Forum. 5 Ways to Drive WHAT WE CAN LEARN Customer Conversion FROM BREXIT Rates in Your Stores Same-store sales are looking a little flat and you need to find ways to deliver better results. There’s still a scent of the financial melt-down lingering, but you survived that crisis and it’s time to start getting the sales needle to move in a positive direction. There are only three ways you can drive sales in your stores: (1) encourage more prospects to visit your store; (2) increase your average ticket and (3) increase your conversion rate — that is, sell to more of the prospects already visiting your stores. These are the folks who visit your store but don’t buy. To a great extent retail sales has been a two-trick pony: drive more prospect traffic and increase average ticket. Driving more prospects into your stores usually requires an advertising or promotional investment of some kind, and increasing average ticket, well let’s just say that most retailers have been and continue to focus on this one — but what about conversion rate? Driving conversion rate is the third trick every retailer needs to learn — it’s another source of sales opportunity that most retailers today completely overlook. Before I get into the ways you can drive conversion, I need to confirm that you actually track traffic and calculate conversion rate in your stores. First, you need to actually track prospect traffic. This is not the same as transaction counts. Lots of retailers are confused about this. Transaction counts represent the number of people who made a purchase; traffic counts represent the total number of people who came to the store including buyers and non-buyers. Conversion rate is simply calculated by dividing sales transactions by gross traffic counts. the site on the former Birmingham City University campus last year. Mayor Andy Street talked about Perry Barr being a “game changer for the region with a lasting housing and regeneration legacy. New estates built by private developers typically include a standard 25 per cent social housing, and Birmingham City Council usually has 35 per cent. Birmingham City Council says the Perry Barr scheme offers 22 per cent affordable and social housing - but that includes the retirement village. Yet just 58 properties will be three or four bedroom houses - family homes - for social rent. Yet the Perry Barr development has just 22 per cent affordable homes ratio, with the rest being sold off by home builders for potentially huge profits. E IR O N E R U IT O V A L I T T A G U B LOOKING TO SELL YOUR NUMBER PLATE? LOOK NO FURTHER! CALL 0121 314 2892 FOR GREAT AD RATES! a small fortune to own the unique car, with Stephan Winkelmann only saying that it belongs to a ‘Bugatti enthusiast’ The company didn’t show the car’s interior during the premiere event held in Geneva, nor can we see it in the adjacent official image gallery. There’s a pretty good chance the cabin has gone through some significant changes compared to the Chiron and Divo taking into consideration the eyewatering asking price. Will we ever see it outside of a car show in our lifetimes? Hopefully, but we wouldn’t get our hopes up too high given the value of the car which will only go up in time. to when I was fighting in the Olympics at 17, I’ve been the underdog and nobody expected me to do anything. It’s the same again in this fight: no one is going to expect me to do anything. I think I can win this fight and hopefully shock the world. Khan has a stern test ahead of him against the 34-0 Crawford but the fight with Brook will probably be there for him afterwards no matter the result. Birmingham’s heavyweight Kash Ali has apologised for biting David Price, saying his behaviour was not a "true reflection of who I am". Ali’s boxing licence has been suspended pending a hearing and his fight purse withdrawn. "I am hugely embarrassed for my actions and the way the whole fight unfolded," Ali, 27, said. Price, 35, says Ali chose to bite him because he "wanted to get thrown out" of their bout in Liverpool on Saturday 30 March. In the fifth round, Price landed a stinging shot on undefeated Ali, prompting a grapple. Ali fell on top of his opponent and appeared to bite Price near his rib cage. Price claims Ali had bitten him "a couple of times" in earlier rounds - which he says he flagged up to referee Mark Lyson - leaving him with further bite marks on his neck. "The occasion got the better of me and those who know me, including David, can testify that my behaviour on Saturday during the fight was not a true reflection of who I am," Ali said. "I expressed my regret from the moment it happened and even more so now." Price used to spar with Ali and said the bite was "out of character" for his Birmingham opponent. Ali added he could not provide more details about the "reasons which resulted in my behaviour", but said he would have the opportunity to do so at a British Boxing Board of Control hearing later this month. "I have every intention of curbing my thoughtless actions and will adjust my behaviour accordingly. "I'm sorry to everyone affected by my actions." for me to now be a permanent member of the team." Jimenez moved to Benfica in 2015 after a season at Atletico Madrid and scored 31 goals in 120 appearances for the Portuguese side. Jimenez began his career with Mexican side Club America and won two Liga MX titles. Indians all-rounder Hardik Pandya won the man of the match award for his all round performance defeating Chennai Super Kigs (CSK). During his eight-ball knock, Hardik hit one four and three sixes with the best shot landing in the top-tier of the stadium and Dhoni looking very impressed. Cricket Fans around the world are tuning in who will win the IPL 2019.
foreign players and two players under the age pool of 21. KhoKho, a sport which needs minimal infrastructure, is also played globally, especially in Asian countries like Japan, Malaysia, Thailand, Sri Lanka, Bangladesh, Pakistan, Nepal, and Korea including England Amit Burman, Dabur India vice-chairman, who had been associated with Poker Sports League in the past, is combining with the Kho-Kho Federation of India to kickstart this ambitious project. “We are launching the league in association with the Kho Kho Federation of Indian (KKFI). 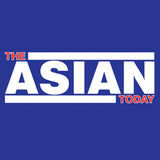 The latest issue of The Asian Today out now.